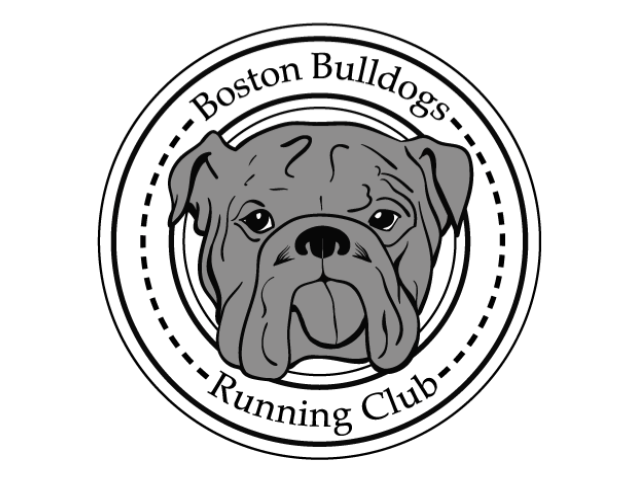 A Brookline man is working – step by step – to help former substance abusers run a new course with the Boston Bulldogs Running Club. Clinical social worker Mike Ferullo used to lead a running group at the Pine Street Inn, a Boston detox facility, for those in recovery every Saturday. He would bring his dog Rocky over to join, and called the group the Bulldogs. He enjoyed watching the patients use running as a tool toward recovery, but he was convinced he could expand from just a small running group for addicts to something more. Now, every Thursday and Saturday the Boston Bulldogs running club meets him and his 8-year-old bulldog, named Gus, who he pushes around in a baby carriage for the weekly runs at the Chestnut Hill Reservoir. The club is for anyone touched by addiction – recovering addicts, as well as their families, friends and supporters – or anyone who even feels sympathetic to the cause, he said. “What I’m trying to do is promote people taking care of themselves and then getting and giving them the support that they need. There’s not enough talk about people helping themselves by putting effort into their recovery. But I’m really trying to promote wellness,” said Ferullo. In his position as a social worker, he said he’s seeing the effects of the drug epidemic. He acknowledged there are more efforts surrounding awareness, but the next step is wellness work. Running and setting goals for himself as a runner helped him recover – some four decades ago. “It’s a new way of life when you get into recovery because you can’t go back to your old friends. Running gives a sense of community and friendship,” he said. In other words, it is more than a running club. The nonprofit boasts the CEO of Bournewood Hospital, a local addiction treatment facility, on its board. Bournewood hosts wellness seminars and sponsors, he said. “But it’s so much more. It’s a therapeutic organization. We’re really trying to help people get back on their feet and move forward in their life,” he said. This idea of promoting wellness through community is the crux of the Boston Bulldogs’ mission. Ferullo said there is a certain level of anonymity when the runners meet every Thursday and Saturday, but they are bound by their desire to stay healthy. Ferullo started the club in 2015, and held a 5K Run for Recovery on May 22, 2017 last year in memory of those who have lost their lives to addiction. More than 400 people showed up to run the race, he said. The second annual Boston Bulldogs Run for Recovery 5K at Franklin Park will be held Sunday, May 7, 2017. Ferullo calls the run a tribute to those who are battling or have lost their lives to addiction, and the family and friends who love them. The club meets twice a week, once on Thursday at 6:30 p.m. and again on Saturday at 9:00 a.m., at the Cleveland Circle Starbucks before heading out to loop around the reservoir.